Broadway Companion mask is from Gypsy Renaissance's Enchanted Evening collection. 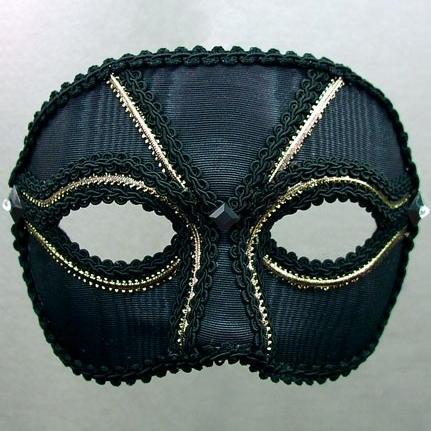 Broadway Companion is a black/gold masquerade mask finished with black jewels. Broadway Companion mask is covered with black moiré fabric and trimmed with black and gold metallic braids. Mask is finished with black jet rhinestones.